Addie is waiting for normal. But Addie's mom has an all-or-nothing approach to life: a food fiesta or an empty pantry, jubilation or gloom, her way or no way. All or nothing never adds up to normal. All or nothing can't bring you all to home, which is exactly where Addie longs to be, with her half sisters, every day. In spite of life's twists and turns, Addie remains optimistic. Someday, maybe, she'll find normal. Leslie Connor has created an inspiring novel about one girl's giant spirit. 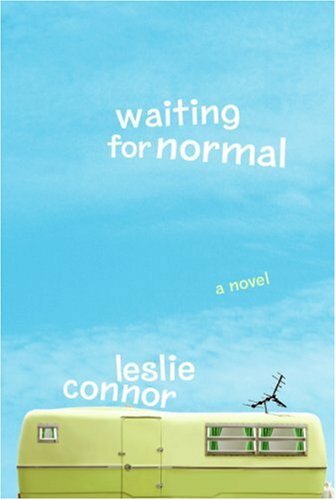 waiting for normal is a heartwarming gem.